There are three reasons why small businesses fail and there are five things most successful small businesses do really well. Find out what they are, and more, in this interview I did with one of my most-trusted colleagues, Small Business Expert Meredith Bell. 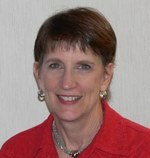 Meredith is the President and Co-Founder of Performance Support Systems. 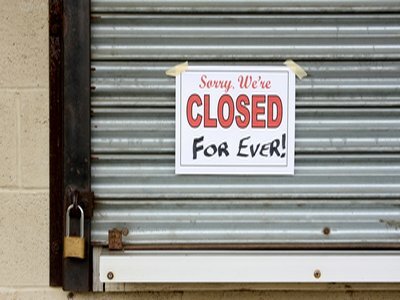 3 reasons why small businesses fail. 5 things most successful small businesses do well. 1 thing all small businesses can start doing immediately. Great stories and specific examples from the 1,000's of small businesses she's worked with for more than 30 years. CLICK HERE to listen to this 42 minute 'Why Small Businesses Fail' interview, now. #1: They don’t have a comprehensive marketing strategy. #2: They don’t ask their customers and employees about what they want and need. Instead, make assumptions that may or may not be true. #3: They don’t closely monitor the performance of their managers and employees, and make assumptions about how these folks are doing in their job. -Know who your ideal customers are and how to find more of them. -Create compelling messages targeted to them. -Use the right combination of media to reach prospects – both online and offline. -Collect testimonials from customers who love your products or services. 2. They have systems in place to automate operations and ensure quality. They don’t leave things to chance. - A process for ensuring a good customer experience when customers visit the loan company’s office: greeting, testimonials, videos, etc. 3. Make time to interact with peers and learn from them. - Trade association meetings and conferences. - Group coaching program with people from different types of businesses. - One to one coaching with an executive coach. 4. Have a customer retention plan. - Communicate with customers often, like a newsletter, and they do things like featuring customers in the newsletter. - Rewards program for referrals or frequency of purchase. - Get feedback from customers on a regular basis, always looking for ways to improve their operation, products and services. 5. Have an employee retention plan. Low turnover can save you a ton of time and money. - Get feedback through discussions and employee opinion surveys. - Create a great work environment so people enjoy coming to work. 1. Every business and individual in that business has strengths they can leverage. Do you know why your regular customers keep doing business with you? If you find out, you can use that information in your marketing to attract new customers. 2.E very business and individual in that business has blind spots and areas they need to improve. Feedback helps us discover those areas so we can change, so our customers and employees have a more positive experience with us and with the business. 1. They just haven’t thought about it. They don’t realize how important it is to ASK – and they don't realize how much they will learn. 2. Others may be afraid of what they’ll find out if they DO ask. That’s understandable. The only kind of feedback many of them have ever gotten is when customers complain, so they may be afraid that’s all they’ll hear. But if they don’t get at the truth, they risk losing customers and employees, both of which are very costly to a business. Research shows that for every customer who bothers to complain, there are 26 others who say nothing. The good news is that if you make an effort to remedy a customer’s complaints, between 82 and 95% will stay with you. Think about that for a minute. What money is a business losing by NOT finding out what the problems are and fixing them? 3. They may think doing surveys is too hard and complicated. Maybe they don’t know what kinds of questions to ask or how to set one up. But it can be easy, fast and automated. It’s a no-brainier because we’ve got done-for-you templates for surveys like customer feedback, employee opinion and even individual performance. What One Thing Do You Want Small Business Owners to Remember from this Why SMall Business Fail Interview? The success of any business depends on having customers who pay you money for your products or services. And you need employees to be motivated and eager to strengthen your business, whatever their role. So it’s critical to know what your customers and employees need and want from you. The question I’d encourage every business owner to answer is: What systems and support do you have in place to make sure you’re doing the right things the right way? Meredith believes in their Survey software, 20/20 Insight. (And I - Wake Up Eager Suzie - do too, As I've used it for more than 12 years) All small businesses that use it, can use it as a both a customer retention and employee retention tool. Retaining customers and employees will lead to: more sales, a more stable cash flow and less turnover.